HOLIDAY CAT IN SACK W/NIP ASST. Plush cat in a holiday knit sack. Contains catnip. 3 color assortment. 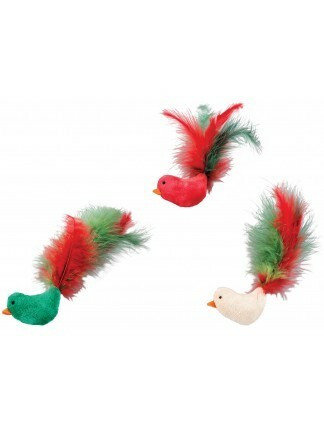 Holiday themed Flicker Fun toys with enticing feathers. Contains catnip. 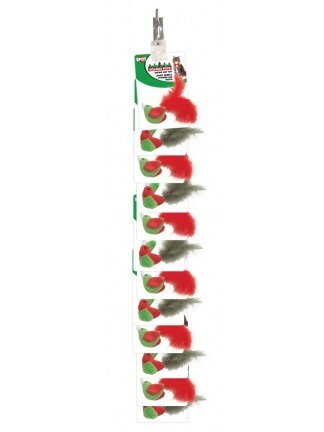 Lights up when tapped. 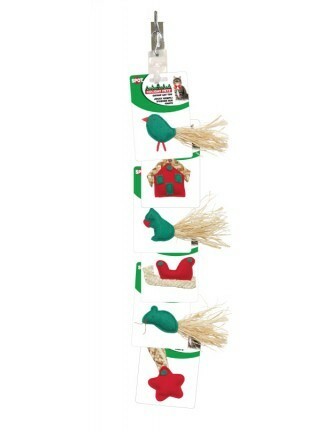 HOLIDAY WOOLY ELF W/NIP ASST. 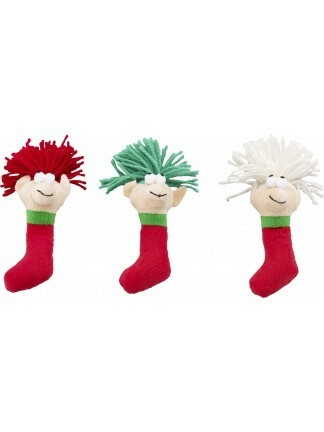 Plush Wooly Elf with stocking body and crazy hair. Contains catnip. 3 color assortment.